The year is 2113. In Jenna Strong's world, ACID -- the most brutal controlling police force in history -- rule supreme. No throwaway comment or whispered dissent goes unnoticed -- or unpunished. And it was ACID agents who locked Jenna away for life, for a horrendous crime she struggles to remember. But Jenna's violent prison time has taught her how to survive by any means necessary. 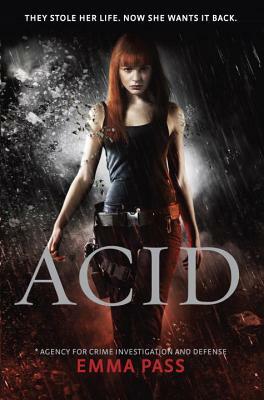 When a mysterious rebel group breaks her out, she must use her strength, speed, and skill to stay one step ahead of ACID, and try to uncover the truth about what really happened on that terrible night two years ago. They have taken her life, her freedom, and her true memories away from her. How can she reclaim anything when she doesn't know who to trust?